Stop, Breath, Think, then Act. For the majority of my diving career, I have been “solo diving”. Solo, as in diving as a single twenty something male. While working on the boats in Pompano jumping wrecks it was only me that was in-fact true solo diving. When diving for fun I used to randomly get paired with other single divers, who now may have spouses but of the non-diving type. There were no real attachments to anyone, or no “worries” if something were to go wrong. We were all trained, and emotion didn’t have a role in any situation. When separated, you search for one minute and surface, as training manuals would say; Stop, Breath, Think, then Act, which works and divers never have a reason to “freak out”. Sometimes I would surface shaken from an incident, but I was trained to shake it off, learn from the experience and move on. Once I was off the boat it didn’t matter anymore. Recently, I have taken interest in a girl. She’s great! AND she’s a diver! Not only that, she has a ton of experience. 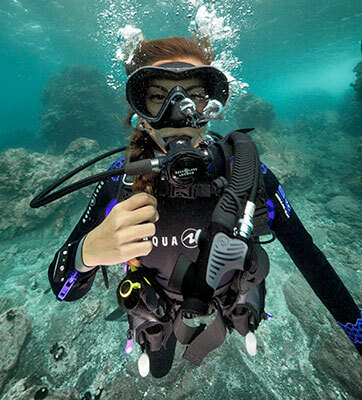 She holds a PADI Divemaster rating, and for a few summers she worked for a shop in Key Largo. I was elated to dive with her and the first dozen dives were great. She was well matched to my air consumption, and she understood my impromptu hand signals, and even spotted lobsters and lionfish for me. We dove the USS Spiegel Grove later on and did some of the more difficult swim-trough’s. There was no silt, no confusion as to what we were doing, we agreed and follow the plan, I was the lead, and she was my support. It was about a month since we’ve been in the water together and both of us had Easter day off. I typically don’t like to dive on holidays because the charters are crowded and there is increased boat traffic on the water. This day in particular was a bit rougher than I usually prefer to have with open-water students, but we were both okay with it. We did the first dive on the ancient mariner. The visibility was marginal 40-50ft; the current was light and not too heavy. Our objective of the dive was to swim around the outside of the wreck for the most part looking for shells and everything went well. On our second dive, we were dropped on the back edge at the beginning of sanctuary reef. Visibility was horrible, maybe 30 ft. and it didn’t help that the clouds were moving in. The current was strong and pulling eastward out to deeper depths, but we were attempting to make way into this current. My objective of this dive was to find dinner, and my buddy’s objective was to collect shells. Only 15 minutes into the dive, we got separated. I stopped in a gulley and waited for a minute, then I headed back in the direction I came from. There was nothing not even any bubbles. It was then time to go up! About 5 minutes had passed since I had last seen her. She had continued to search for me on the bottom, passing the spot I stopped. I omitted a 3-minute stop for an abbreviated 1-minute stop. I then hit the surface and was quickly picked up by the boat. While nervously and visibly shaking, I was thinking of the absolute worst-case scenario in my mind. Thinking “How would I tell her parents?” The captain, and a good friend of mine then said, “I see her bubbles” whether he actually did or not, some kind of conformation made me feel slightly better. Then, as that day being a holiday, a sailboat was headed towards the area she was about to surface. My heart began to pound as I could see the boat drawing closer. There was nothing we could do, and no one was at the helm of the vessel. A very common problem in south Florida, is boats being on “auto-pilot”, sometimes we call it the “autopilot of death”. THANKFULLY, the boat was about 200ft west of her as it past, and she surfaced just as his bow passed her. From my angle it looked to be 20 ft. We got her back on board and I’ve never felt more relieved in my entire diving career. When diving as a buddy-pair, always agree on a single objective of the dive. Even more so when diving with significant others, it may be easier to read body language and subtle cues from your partner on the surface. Although that dynamic quickly changes when the face is covered with a mask and regulator. Couples with low visibility and different objectives are likely to get separated and stay so until surfacing. Having one objective sets both partners on the same path and if separated, both know to meet in the agreed area. As for diving on holidays, always carry a DSMB, or a delayed surface marker buoy. So after separated and following appropriate protocol, deploy it from depth to announce your location and to surface support as well as to put your separated buddies mind and heart at ease. Get Prepared... it's lobster mini Season!